This 12 oz. 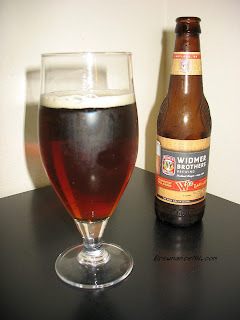 bottle was graciously provided to me by the Widmer Brothers Brewing Company. I am grateful for the gift, and will review it as I review any other beer below. 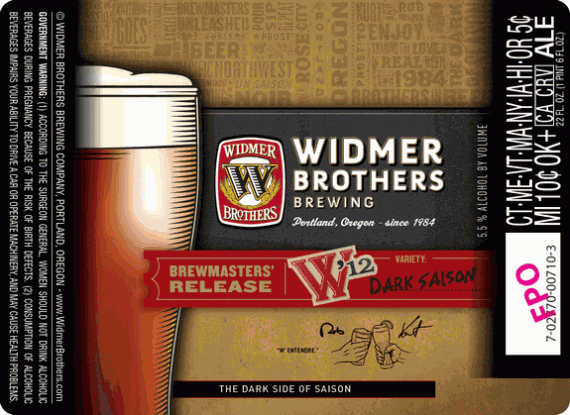 I will have to state, that I think this style is a bold, and positive move for the Widmer Brothers to take. 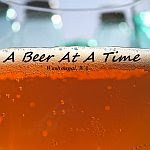 Farmhouse Ales, Saison, and sour interpretations of the style are among my most favored. Style, and price never affect my judging of a beer. It's all about the beer. I waited all day looking forward to this beer. - This beer pours a nice dark sun-tea brown with a quickly dissipating finger of fizzy off-white to greyish head. A small ring of lace and island of thin foam rest behind. Overall solid, it isn't a big frothy Saison that I am used to. - Nice esters in the nose. Plumb and fig along with some zesty clove and herbal spices. Light sweat bready grains and a zesty lemon-like presence. This puppy smells good. Perhaps a dash of molasses sweetness and earthy aromas. - I like the balance in this light and smooth tasting Saison. The bready semi-sweet grain melds well with the zesty esters and spices. The balance is spot on in this brew while remaining rather light. It does however leave me wondering a bit what a slightly stronger version of this would be like. It does have a slight earthy and grassy aftertaste which contributes to some of the feel. This beer is good. - Overall this is a light bodied to slightly medium bodied brew. It's sessionable, and is just a touch chewy and cloying. It has a nice drying effect which causes me to not put my glass down. Overall well carbonated and quite nice. - Certainly no let down here. The beer is just very balanced, and is a smooth tasty drinker. It actually tastes very good, and doesn't have some of the random off flavors that many of this style have. The smell and taste is where this beer shines, which I feel is the most important. I think this will be a great intro beer for new and future craft beer enthusiasts.